and social innovation have the pleasure to invite you to the final press conference of the project. This conference will aim at presenting and diffusing the publications resulting from the project. They are based on two complementary volumes. The first, coordinated by the University of Valencia, proposes an economic analysis on questions of culture and innovation. The second volume, coordinated by the Relais Culture Europe, puts these questions into perspective with regards to the choices with which we are faced in terms of development, society and democracy. • Pau Rausell Köster, economist and director of ECONCULT, University of Valencia – the Sostenuto project : a contribution to the debate on social and economic innovation. Expeditio (MNE), Relais Culture Europe (F), University of Valencia (S) and Zunino e Partner Progetti srl (I). Sostenuto is a project of micro-territorial experimentations in the area of interconnections between the culture, economy, social issues and democracy within Med area. 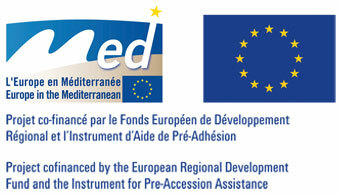 By its approach of the exploration of innovative practices in the field of the culture – incubator, cluster, non monetary exchange system, new modes of governance – it is striving for reinforcement of capacities of innovation of the cultural sector within the Med space, to accompany its mutation towards new economic and social models and to encourage theca consideration of its innovation capacities with the help of decisions makers, managers and financers.